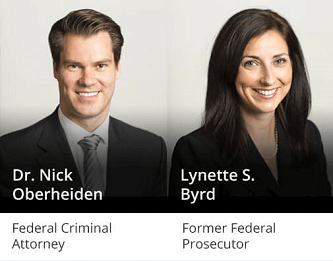 East Texas Drug Trafficking Defense Lawyer - Oberheiden, P.C. If you’re facing a drug crime at the state or federal level, you are in some of the most difficult days of your life. Drug charges are terrifying, and the stakes are incredibly high. Serious prison time and lifelong consequences are on the table, not to mention a terrible stain on your reputation. The government tries very hard to penalize you as harshly as it can. Too often, the punishments in these cases don’t fit the crime — if a crime was even committed at all. No one is perfect. We’ve all made mistakes. Even if you’ve had an error in judgment, you don’t deserve to spend the rest of your life paying for it just because a prosecutor wants bragging rights for harsh convictions. Our office is prepared to defend you without judgment or condemnation. Crimes have strict definitions. The government has the burden of proving that you meet every element of those definitions to a T. Even if you believe you’re guilty of a crime, you may be surprised to learn that the state can’t prove each of the necessary elements. Often, if we can challenge them on even one element, you can walk away with a total dismissal of your charges. That is our goal. This page will look specifically at the crime of drug trafficking. Trafficking is only one of the many drug-related charges that prosecutors can use when going after a drug suspect. Unfortunately, it is one of the most serious charges and also one of the most frequently abused. Drug trafficking refers to conducting business with illegal or controlled substances in the United States. The charges can apply to a range of activities — manufacturing, selling, transporting, or distributing, among others. The law on drug trafficking is complicated, and whether the charges fit the facts isn’t always clear. If you’ve been accused of any drug-related crime, the prosecution will be eager to include a trafficking charge if they can. You need experienced, honest, and strategic advice right away. Possession with Intent to Distribute is a charge applied to individuals who possess only a small amount of a controlled substance. The authorities usually look for any evidence that might imply intent to distribute, even if you truly never had any intention to transfer the substance to anyone else. Drug trafficking is often used as an alternative to “intent to distribute” when a larger quantity of drugs is involved. Most drugs are measured in terms of weight, and specific weight levels can elevate a charge from possession/distribution to trafficking. If the prosecution believes that your business dealings involving the drugs extend beyond Texas state borders, you could be charged with state and federal drug trafficking. The penalties are typically severe at the state level and even worse when federal charges are involved. In our criminal justice system, prosecutors and police are often admired, applauded, and even rewarded for being “tough on crime.” They have an incentive, then, to apply the most serious charges and seek the most serious penalties possible. It is not uncommon for prosecutors to take a straightforward, small-scale possession case and quite literally “make a federal case of it,” ramping the charges up from possession to either “possession with intent to distribute” or drug trafficking — both at the state and federal level. As a result, many people who truly have a substance abuse problem that needs medical and psychological attention — or people who accidentally found themselves in the wrong situation — are unfairly made out to be hardened drug criminals when they are nothing of the sort. You need a Tyler drug trafficking lawyer to protect you from overeager prosecutors and unfair, trumped-up charges. If you are facing a trafficking charge or believe one is imminent, you need strategic, fact-specific advice from an experienced attorney right away. Every moment counts. Contact our office and set up a free case review with a Tyler drug trafficking lawyer at Oberheiden, P.C. today.